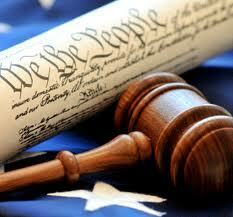 As our followers are aware, I offer professional writing services to those who wish to publish their court ordeals. Many are motivated to expose corruption, others to provide a biography for their children or reputations. Whatever the reason, I have been applying decades of trial and appellate experience in numerous courts to make such stories a reality. Publishing a book is no easy task. Many claim a commitment to do so but never follow through. There are pitfalls when producing a manuscript and marketing it to a trustworthy publisher. There’s also a concern for defamation particularly when prominent people are being criticized. I successfully sued one publisher for incompetence. It received coverage as far away as London, England, and the company was forced to go out of business. So do yourself a favor, get a manuscript and publishing process underway by doing it right. Contact me directly for an understanding of your objectives and a fee quote. I require supporting documents before starting the project, and it fares best if we get to know the subject matter personally. You can verify credentials by looking up my recently published novel, Voyage to Armageddon, available at Barnes and Noble, Amazon and Lulu.com. Recently I completed an assignment in Hawaii for a woman victimized in divorce court. Her book is not yet released but it represents a phenomenal look at court corruption and intrigue backed by transcripts and official records. Currently I am engaged in a book project which will focus on severe parental alienation experienced by a mother in Pennsylvania.What an assignment! You may have a similar or untold story you wish to share with the world or just your family and friends. It could lead to a documentary. Movies are typically based on books as you know. I can be reached directly at leonkoziol@gmail.com or (315) 796-4000. I am leaving you with an excerpt from a chapter of my recently completed book manuscript so you can get a feel for the possibilities. “I’m gonna miss you too, especially all those great breakfasts in the morning.” I laughed slightly. Most of our issues were addressed and a plan of action was formulated to promote court reform in America’s divorce industry. It was focused on fund raising, growing an army of parental advocates on social media, a central website and demands for investigations under Title IV-D.
“Hey look at the moon, notice anything?” I asked. We both gazed up into the Pacific night sky. We watched intently as the billowing clouds made their way between mother earth and her moon, creeping resolutely until a full moon became half, then a quarter. Finally it was gone. DID SUPPRESSION OF FREE SPEECH AT PUBLIC CORRUPTION HEARINGS INSULATE GOVERNMENT FROM ACCOUNTABILITY? 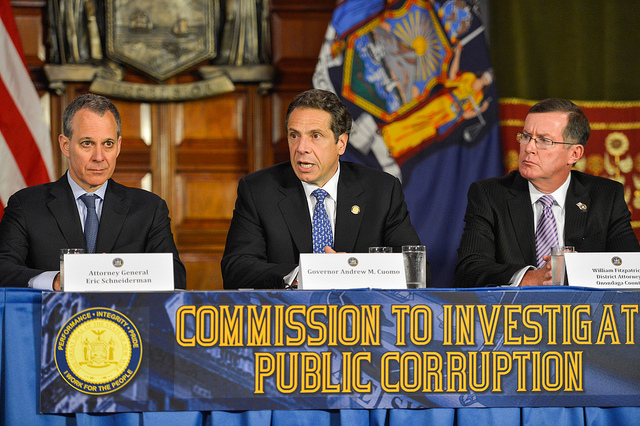 Parental Advocate, Dr. Leon R. Koziol, was one of the fortunate few selected from the general public to speak before the Governor’s Moreland Commission on Public Corruption at New York’s Pace University on September 17, 2013 (Constitution Day). Meanwhile vast numbers were denied access altogether in the streets outside the building. If you recall our website posts at the time, public emotions erupted into spontaneous protests and arrests as a well scripted Commission deliberated ultimately to a point of impotence, achieving nothing in the months of its costly existence. When evidence began to surface implicating the Governor himself and top state officials, the Commission was prematurely dissolved in March, 2014. Fortunately one of the speakers, federal prosecutor Preet Bharara, chastised the unexpected move during an interview in Buffalo, New York. He then secured Commission files progressively leading to the January 22, 2015 arrest of New York Assembly Speaker, Sheldon Silver, on bribery and corruption charges involving New York law firms and millions of dollars in public money. While the federal investigations were underway, Mr. Koziol was being targeted and punished for his own testimony at the same hearing by disciplinary agents of the state’s judiciary. Only weeks after the Moreland Commission was disbanded, a report was issued on April 8, 2014 opposing reinstatement of Leon’s law license with a complete copy of his testimony. This report was not issued by an independent entity like Mr. Bharara’s office, it was prepared by attorneys hired and supervised by the very court being criticized and responsible for the licensing decisions. Only nine months earlier, the chief attorney and his associate engaged in the same targeting activity were fired for falsifying their time sheets, publicly financed time which was also misappropriated to violate Leon’s civil rights. No public charges were lodged against them. The targeting of Leon’s speech and reform efforts after 23 unblemished years as a successful civil rights attorney was admitted in an unrecorded, confidential hearing held by the same licensing court in May, 2013. Clearly provocative but never alleged to be false, Leon’s Commission testimony cited extensive judicial misconduct including a Syracuse judge assigned to his custody case who was removed from the bench for sexual misconduct upon his handicapped five year old niece. He also asked for an investigation into the state’s Judicial Conduct Commission due to its political nature and failure over the years to hold judges properly accountable. Like Sheldon Silver, many were later arrested and convicted by federal authorities. Federal mandamus and civil rights actions were accordingly filed by Mr. Koziol in lower Manhattan and the state’s capital, but indications are that the constitutional atrocities will be suppressed, dismissed and otherwise punished to assure business as usual in America’s divorce and family courts. Any logical observer must therefore conclude that our third branch of government is simply placing itself above the law, in this case our supreme laws entrusted to its care under the Constitution. Mr. Koziol sacrificed his career and family to promote a long overdue cause for the people against his own profession. So is that it? We simply walk away while our veterans and public safety officers return to alienated children, draconian enforcement practices and discriminatory treatment by the government they swore to protect? As Americans, we are charged with a duty to do much more. Ominous signs are everywhere concerning the ongoing erosion of our most cherished rights and beliefs, from NSA surveillance to IRS targeting of conservative groups and more. We simply cannot ignore all this by returning to our couches and routines. After Mr. Koziol’s return from Paris on a mission to accord parenting rights international protection, a million people rallied in that city to support free speech. When will a similar rally emerge here in Washington to promote the same rights, equal treatment of fathers and support for truly struggling mothers? 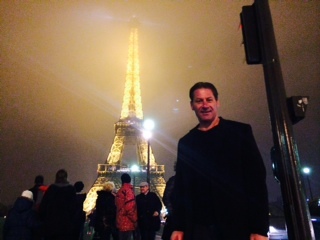 Many thanks to three recent benefactors in Paris, New York and Tennessee for their major donations. A trip to Nashville is set for March as stated in an earlier post. Once again, we need everyone’s involvement to promote this vital cause. Help us with media contact and other potential donors. We also ask for personal contributions and purchase of our court program which has helped so many parents navigate their way successfully and economically through family court. Obtain it at http://www.parentingrightsinstitute.com. You may call our office, Parenting Rights Institute, at (315) 380-3420 or Dr. Koziol direct at (315) 796-4000. OFFICE OF LEON R. KOZIOL, J.D. In what may be described as the most sweeping challenge to date upon our nation’s draconian child control laws surrounding Title IV-D of the Social Security Act, New York Civil Rights Advocate Leon R. Koziol, J.D. has filed a comprehensive test case in United States District Court in Albany, New York. Named in the action are judicial and law enforcement officials, including New York’s Chief Justice and Unified Court System. The lawsuit, served upon select parties this week, takes aim at “custody” and “child support” laws which alienate children from their parents as part of a government money generating scheme. A 39 page, 24 count civil complaint sets forth the manner in which lawyers and forensic agents feed off of manufactured controversies in domestic relations courts to harm parent-child relations and the financial stability of mainstream households. According to Koziol, it is a process which is harming the productivity of an entire nation. Until his public stance against the legal profession in recent years, Mr. Koziol enjoyed an unblemished 23 year career as a constitutional rights attorney. His accomplishments include six figure jury verdicts on behalf of race, gender and free speech victims. In 2004, he secured a final judgment in New York Supreme Court declaring unconstitutional the operation of the largest casino in that state. He has appeared on the CBS Program “60 Minutes”, New York Times and CNN, among other national mediums. The current action provides a startling look at the manner in which government actors are suppressing free speech, due process and the People’s liberty interests in childrearing. Mr. Koziol is seeking similar victims of courtroom abuses to join this action and transform it to class action status. Support is needed behind his sacrificial cause on behalf of “parents similarly situated”. As the holiday season approaches, Mr. Koziol hopes to target family preservation issues and the scheduling of a national parenting rights convention. A jury sided today with real estate tycoon Donald Bren, ruling that he did not have to pay more than $130 million in back child support payments to his adult children.